We manufacture and supply a wide range of thermal overload relays, which is a bimetallic device made up of two strips of different metals. 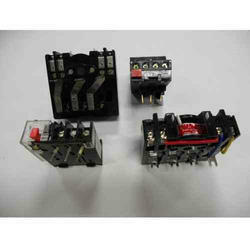 The dissimilar metals in these thermal overload relays are permanently joined. 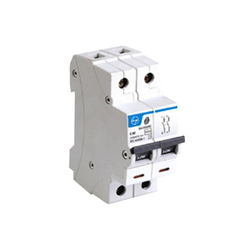 Our company is well known in the market for offering an extensive range of Miniature Circuit Breaker which have been procured from well-known vendors of the market. 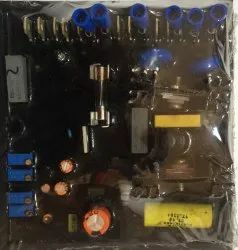 We offer and supply a wide range of Thermal Overload Relays, which is a bimetallic device made up of two strips of different metals. The dissimilar metals in these thermal overload relays are permanently joined. Heating the bimetallic strip causes it to bend, as the dissimilar metals expand and contract at different rates. The thermal bimetallic overload relay strips applies tension to a spring on a contact. If heat begins to rise, the strip bends and the spring pulls the contacts apart, breaking the circuit. Looking for Overload Relays ?